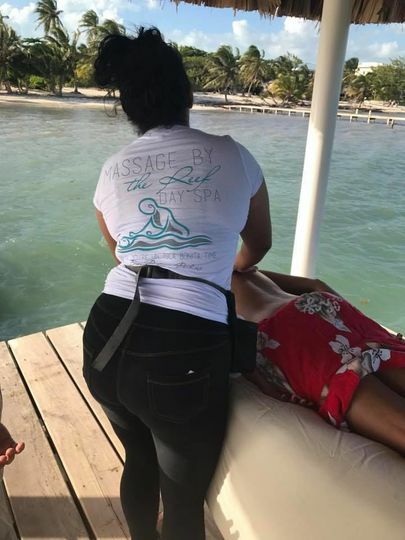 Massage By The Reef Day Spa Belize is a beauty spa located in Ambergris Caye, Belize. 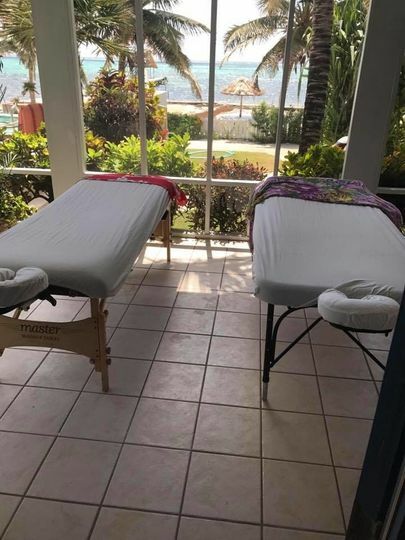 All of their beauty treatments are done overlooking the stunning Caribbean Sea, to help you relax as you feel the gentle caress of the island breezes and listen to the calming sound of the lapping sea. 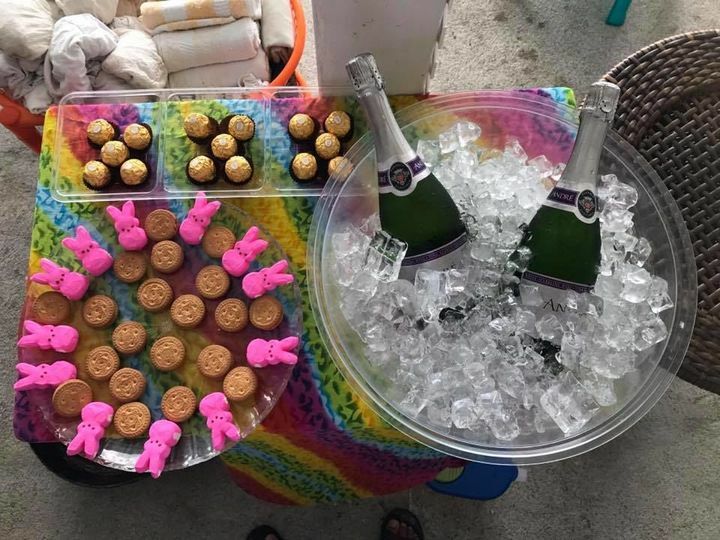 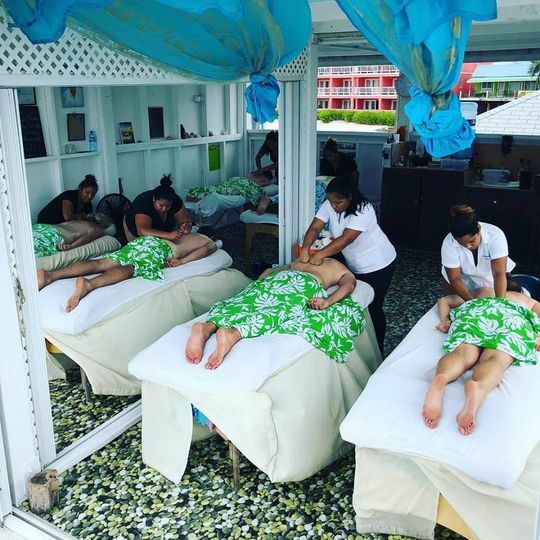 Whether you want a massage to relax you before your wedding day or your nails done with your bridesmaids for your bachelorette party, Massage By The Reef Day Spa Belize will pamper you from head to toe. 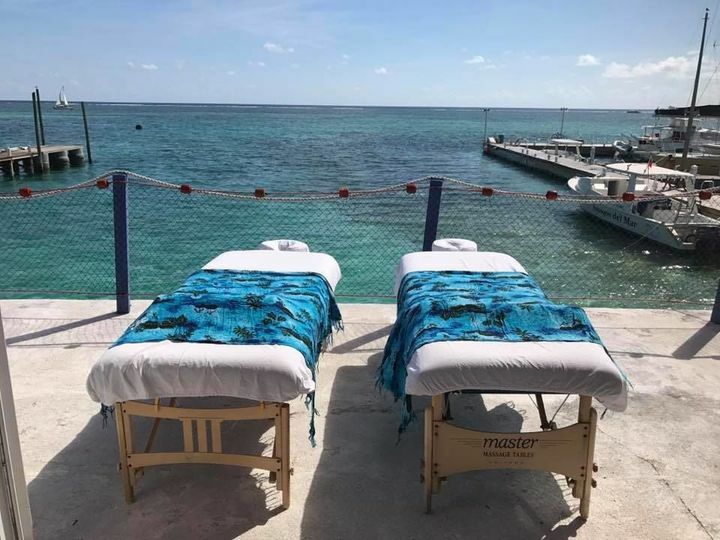 Having your Massage in the cool of the evening under the open skies right on the edge of the water. 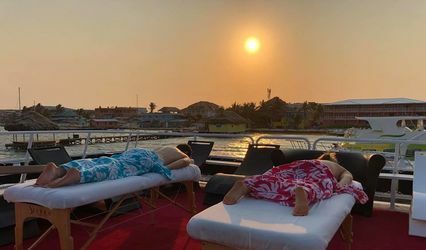 the only sounds to be heard is that of the night and lulling of the waters below. 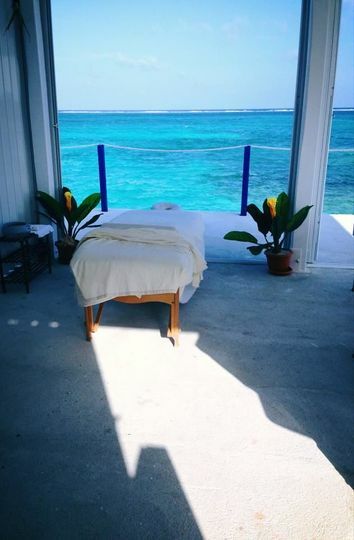 This Massage relaxes your body and mind, preparing you for a Peaceful Night's Sleep.